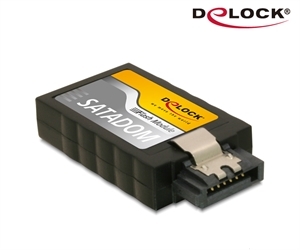 The Delock SATA 6 Gb/s flash module is, due to its small size and high shock resistance, ideally suited for usage in mobile devices such as IPCs and measuring systems, as well as for the digital signage range. The module supports the SATA 6 Gb/s standard and is therefore convenient for applications that require fast read and write speeds. The metal clip at the SATA connector enables the module to snap in to your SATA port.